Because of the new GOG.com release of Railroad Tycoon 3, I could make a Mac port of it in the Porting Kit. Works nice although multiplayer isn’t supported, you can still spent many hours on this game! Oh, and for the fans….I added the GOG.com version of Railroad Tycoon 2 as well! Awesome news! GOG.com and Origin added Medal of Honor – Pacific Assault to their Catalog! So I obtained 2 copies for my both account and thinking of creating another one for multiplayer purposes. Because I managed to get it working perfectly including LAN multiplayer. Played for an hour multiplayer and about 45 minutes single-player. Really recommended! Conlin is then reassigned to the 2nd Marine Raider Battalion joins with Minoso, Gaines and Sullivan as they take part in the notorious Makin Island raid. During the raid, they are tasked with destroying a radio tower, destroying a supply dump, and rescuing a downed airman, before returning to their insertion point to fend off a Japanese counter-attack and defend their submarines from an aerial attack. Elven Legacy for the Mac! On March 22, 2016 / GOG.com Games, Mac Strategy Games / Comments Off on Elven Legacy for the Mac! A new port of an older turnbased strategy game Elven Legacy Collection is released into the Porting Kit. The game worked great on my Intel Iris iMac! Day of the Tentacle Remastered released for Mac! On March 22, 2016 / GOG.com Games, Mac Adventure Games, Native Mac Games / Comments Off on Day of the Tentacle Remastered released for Mac! Awesome news! For the the people longer in gaming Day of the Tentacle is a real classic! And now it’s remastered for Mac! So don’t wait and buy this golden oldie on GOG.com. Day of the Tentacle Remastered is all the adventure you may remember with an optional layer of sweet improvements on top. You can mix and match between the unmistakably 1990s pixely art and a fresh high-res coat of paint, remastered audio, and an all new interface. There are extra goodies in the Remastered release as well, including in-game developer commentary and a concept-art browser. Should your hankering for past loves persist, you can still access the fully playable version of the original Maniac Mansion from within the game and learn what started this whole craziness. New Porting Kit! Native games and Origin is back! On March 22, 2016 / News, Origin, Portingkit / Comments Off on New Porting Kit! Native games and Origin is back! Now about Origin ports: they are back! All Origin port were updated to Paul’s newest Origin engine, and now we won’t have problems with the latest Origin version. No more update error in the end of the installation, and no errors related to game installations. With Porting Kit 1.9.115, we also have some bug fixes since 1.9.95, which includes a bug which made Porting Kit incapable of being used by computers with more than one active user. Also, the Ranking tab is now multi-threaded, which means that it won’t froze Porting Kit until its content has been loaded. Many surprises are coming in the next Porting Kit releases (my TODO list already has 12 items), so keep yourself updated. If you want to keep yourself in touch with the latest features, make sure you always update to the latest version. If you only want to access new features when they are completely tested, update only when the latest version is marked as stable, which will be the same version for download here. Alien Breed + Tower Assault added to Porting Kit! On March 17, 2016 / GOG.com Games, Mac Action Games, Portingkit / Comments Off on Alien Breed + Tower Assault added to Porting Kit! Great news! I added Allien Breed + Tower Assault into the Porting Kit. You can choose to play it using the seperate setup file installation, or using the GOG.com Galaxy install where you only have to install one game with GOG Galaxy from which you can install and play both games into the Galaxy client. The choice is your, and both work great :) Enjoy! On March 13, 2016 / Game Port, GOG.com Games, Mac Adventure Games, Portingkit / Comments Off on Shardlight for the Mac! Good news for the adventure fans! Shardlight is now ported to Mac and added to Porting Kit. Shardlight is a full speech, old school lookalike adventure game with a great story. Wadjet Eye Games made also same kinda popular games as Resonance and Primordia. They game works great on even my low-end Intel HD5000 Macbook air. Enjoy this one! The world ended on the day the bombs fell. Since then, it’s always been like this: disease, hunger, death. The ruling Aristocrats a faceless oligarchy that controls all resources have unchallenged authority. There’s never enough food, water, or vaccine to go around. The rich receive regular doses of vaccinations in exchange for their unconditional government support. The poor live in fear, superstition, and squalor until they die. Amy Wellard, a young woman reluctantly working for the government to qualify for the vaccine lottery, believes there’s a cure and she’s going to find it. Even if it costs her her life. GOG.com Galaxy (Windows) for Mac! On March 9, 2016 / Game Port, GOG.com Games, News, Portingkit / Comments Off on GOG.com Galaxy (Windows) for Mac! Great news! I managed to port GOG Galaxy (Windows version) to the Porting Kit. 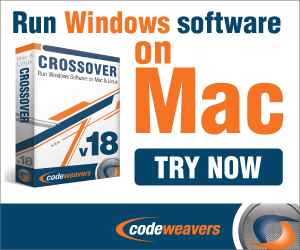 You may ask why to Port the Windows version while there is a Mac version? Well, very simple, this port will run (almost) all Windows only DOS games on GOG.com! And those are a lot! Secondly, a lot of other Windows only games will run this app as well, but thats experimental. We already implanted the GOG.com Galaxy option into the GOG.com ports which are compatible with the program. For the GOG.com games which doesn’t support the GOG Galaxy app, we will have an expirimental option for it soon. Let us know what games run flawless with this port so we can add the galaxy support to those games as well! Codename Panzers: Phase One for Mac! On March 7, 2016 / Game Port, GOG.com Games, Mac Time Management, Portingkit / Comments Off on Codename Panzers: Phase One for Mac! Codename Panzers: Phase One came out not long ago DRM free on GOG.com. So I ported this for the WW2 strategy fans :) I am such a guy loving WW2 games, so this one was quite obvious to do. Enjoy this one. Codename Panzers: Phase One works even great on my low-end Macbook air! Codename Panzers: Phase One thrusts you into the high-powered battles of World War II. Whether played in towns with bullet-riddled buildings, bleak mountain landscapes, or treacherous swamps, Codename: Panzers offers real-time combat rampages with awesome 3D graphics. Create your combat force from over 100 finely detailed units, from a flame-throwing squad to a Soviet Stalin organ rocket launcher to a German Königstiger battle tank. Be the commander – demolish the enemy with clever tactical maneuvers. Experience the nerve-jangling thrill of strategic gaming – in Codename Panzers: Phase One! Unlike the other Zork games, known for their quirky humour, this is a deeply serious game. It makes passing references to various characters and places in the Zork mythology, but is largely an entirely stand-alone experience, which can easily be enjoyed without having played the other games. Don’t come here looking for a graphical Zork game (its follow-up, Zork Grand Inquisitor, fits that bill).